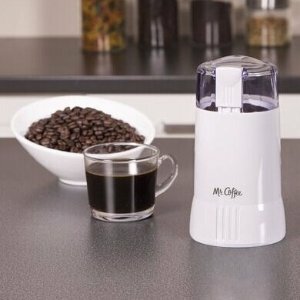 Mr. Coffee offers the Mr. Coffee Coffee Grinder, White for $11.99 via coupon code "UPGRADE20"..
Holmes offers 50% off the following household appliances via coupon code "J2PEAAA" with free shipping. JardenStore offers the Patton 20" CVT High Velocity Pedestal Fan, model: PX405PED-U, for $139.99. Coupon code "F2JA50A" drops it to $70 and bags free shipping. Jarden Store offers Holmes® HM500TG1-UM Personal Ultrasonic Humidifier for $34.99 - $22.09 instant discount via code L1HV69A = $12.90 with free shipping. Jarden Cosumer Solutions offers the Holmes Warm Mist Humidifier, model: HM5082TG-UM, for $29.99. Coupon code "L1SV58A" drops it to $12.89 with free shipping. Features/Specifications: a 2.13-gallon tank, two power levels, and up to 24 hours of use per tank. It's not guaranteed to arrive by Christmas. 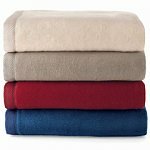 Jarden Store offers up to 70% off Heated Blankets when you use coupon H1JV50A at checkout with free shipping. Jarden Store offers an up to 70% off on Sunbeam Bedding products	w/Coupon H1JV50A. Jarden Store contiues to have Sunbeam Humidifiers on sale with free shipping. Use coupon code J1SV68A at checkout for discount.